Once you start smoking, it's often hard to stop. Many young people who smoke go on to become smokers as adults. About half of those who smoke regularly will eventually die from a smoking-related disease. Clearly, it's best never to smoke at all. But stopping smoking if you've already started is the next best thing. It's often hard to stop smoking because cigarettes contain nicotine, which is addictive. When you're a teenager, your brain is still developing, and it's more affected by the addictive effects of nicotine than an adult's brain. To find out more about the harmful effects of smoking and how to quit, contact Te Hā – Waitaha Stop Smoking Canterbury, Smokefree Canterbury or Quitline. Or speak to your GP, practice nurse or pharmacist. Information about the chemicals in cigarettes, what they do to your body and how to kick the habit. 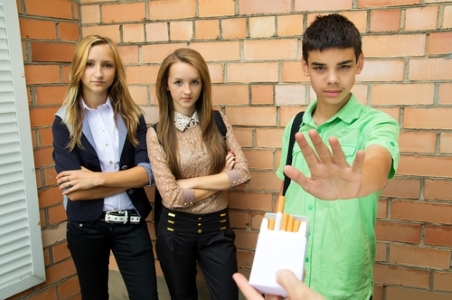 A resource for teenagers about cigarettes, addiction, and quitting smoking.